Dr. Adam J Carinci, M.D. is a nationally recognized and sought after clinician, author and speaker with over a decade of pain medicine experience. He is double-board certified in both Anesthesiology and in Pain Medicine and maintains an active, full time medical practice. 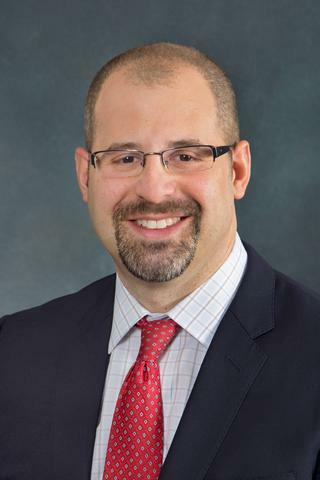 Dr. Carinci is Chief of the Pain Management Division and Director of the Pain Treatment Center at the University of Rochester Medical Center and an Associate Professor at the University of Rochester School of Medicine. He is a consultant to the Centers for Disease Control and Prevention (CDC), The Department of Health and Human Services (HHS) and the U.S. Department of Veterans Affairs (DVA). Dr. Carinci's research has focused on Complex Regional Pain Syndrome (CRPS) and chronic opioid therapy. Dr. Carinci has particular expertise in spinal cord stimulation and kyphoplasty / vertebroplasty. Prior to his current position, Dr. Carinci was the Director of the Pain Medicine Center at Massachusetts General Hospital and an Instructor at Harvard Medical School. Dr. Carinci trained at Johns Hopkins University School of Medicine, Johns Hopkins Hospital, Massachusetts General Hospital and Harvard Medical School.